I’m giving up the facade. No longer am I going to worry about if I’m viewed as a generous or giving person; my true inner self is hereby released. Starting now I am following a righteous path to the genetic predisposition I’ve determinedly refrained from acknowledging my entire adult life. What brought this on? Well to be honest, it pretty much has everything to do with scapegoating. We’re learning from the very top levels of our society that it’s perfectly acceptable to blame someone else instead of admitting to a personal failing or transgression. So in that same vein, I am following a similar path: It’s my father’s fault. I was surprised too. It does seem like a bit of a cheap shot to blame a parent for one of my own deficiencies. Not to mention, it’s also something over which I do have the ability to correct or at least modify. All I can say in my defense is that I believe it has taken years for this to outwardly manifest. What with suppressed memories, I am finding that triggers for it are everywhere too, especially the grocery stores. 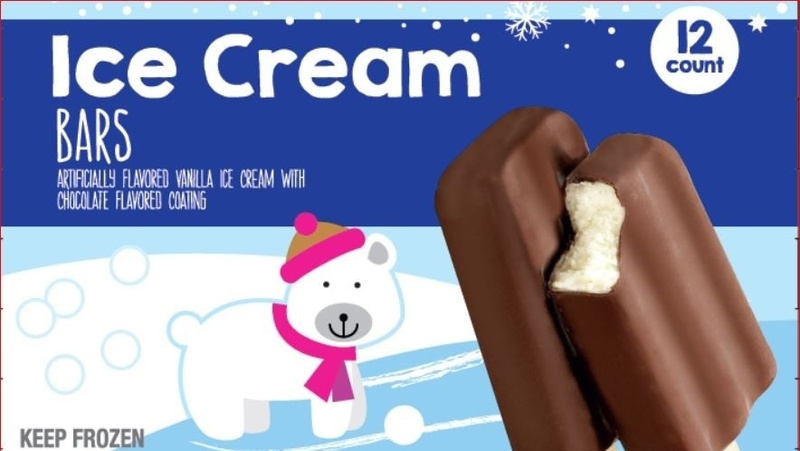 For instance, the sight of the store brand ice cream brings back all kinds of childhood trauma. “You’ll eat it, and you’ll like it! In fact, I’ve made bold attempts to fight these kinds of memories in earlier periods of my life. At one time, I even engaged in spirited hijinks aimed at mocking Dad’s thriftiness. In my first job after college, I was put in a back office area reverentially referred to as “Country Cubicle Estates.” Six of us in our early twenties sat there. We had no privacy, of course, so phone conversations and discussions were always a community affair. It was an intimate setting. To help pass the time, we would occasionally play a dumbed-down version of Truth or Dare, where each of us would identify a personal trait or habit of a family member which we feared might someday materialize in ourselves. Siblings and extended relatives were great targets for laughs, but the most interesting victims were always parents. When you’re young and full of yourself, who better to lampoon than the ultimate authority figures in your life? So lampoon we did. I remember absolutely killing with anecdotes on how my mother could take what should have been at best a two-minute story about the time she went to the wrong restaurant to meet someone for lunch, and instead manage to make it into a full 30 minute stemwinder, including the part about the waitress’ sister owning the same beauty salon Mom also frequented. By the time she finished, we were ready to hang ourselves. Of course, I had many a tale to tell about Dad and his thrifty ways too. What I never could have imagined in those heady moments of yore was how prescient our little game’s intent would turn out to be. That fast forward 35+ years, my own parental parodies would one day mirror a striking resemblance. I was skating on thin ice and didn’t have a clue. And so it has indeed come to pass that I see many my dad’s frugal tendencies in yours truly. I have no doubt that he’s enjoying this spectacle right now, sitting on some heavenly lawn chair with a can of Tico pop in his hand, and laughing at my expense. I still vividly recall pleading with Dad to buy something better than Tico. My pleas fell not only on deaf ears but also defiance. It wasn’t just soda pop on which he held the line, but also chips, pretzels, cookies, etc. Unless it was a special occasion such as company coming or New Year’s Eve, he bought store brand only. My mother picked out quality meats, poultry, fish, fruits and vegetables, etc. for the family meals. But we were left to Dad’s choices for anything fun. To strike back for all that horrible “suffering” at the hands of a fiscally prudent parent, I resolved to go another way during my adult working years. It didn’t just extend to snack items, but additionally my choice of outdoor grills, what repair shop serviced my car (the dealership, which to Dad was akin to making a pact with the devil), and where I bought my clothes (i.e. not Sears). During his visits he stayed mostly silent on my choices, yet somehow managed to still enjoy the offerings of higher quality booze and imported chocolates. Since his death, I honor his birthday by pouring a small amount of Scotch whiskey — his favorite — into a glass and raise it in his honor. I then remind myself that I doubt he ever bought a bottle of single malt in his life. Not only was it too rich for his blood, but he would have made an argument that for the money Johnny Walker Red is every bit as good. Who am I now to argue with him? About a month ago, I was searching in my bathroom vanity for a tube of Neosporin to apply on a paper cut. Except it wasn’t Neosporin; it was the Walgreen’s store brand version of it. As I looked through the drawer, I noticed Walmart ibuprofen, Publix acetaminophen, Target brand razors, etc. A glance into the medicine cabinet are more over-the-counter medicines and sundries, all generic store brands. Even the band aids are generics. Another glance into the shower stall and all of my shampoos are store brand. Gorgeous’s side of the vanity and shower I notice is a sea of name brand creams, oils, powders, moisturizers, etc. Her one over-the-counter medicine is an allergy one; it too is a name brand. A package of strawberries for $7, are you kidding me?! 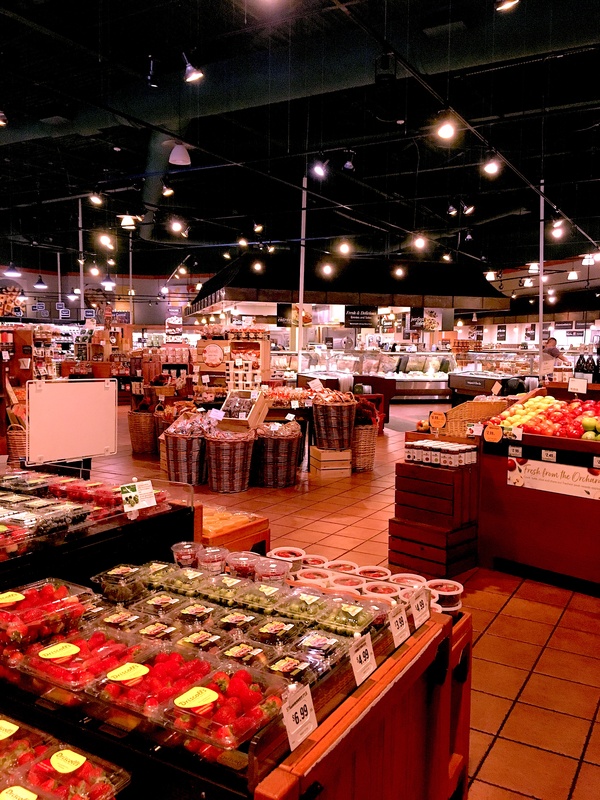 A reverse epiphany moment for me arrived a few days later when we stopped at a gourmet grocery store in Ponte Vedra, a nearby upscale community to the north of us. Cook and baker that she is, Gorgeous loves this store and can easily spend well over an hour in it browsing merchandise and reading ingredients. She is always in a state of blissful zen here. I, on the other hand, walked around the store with a furrowed brow and a permanent scowl of judgement. I saw bags of potato chips for $5.00, packages of cookies for $6.00, bottles of water for $4.00, and boxes of cereal for $8.00. Don’t even get me started on the fancy bakery counter with its cakes and pies that require a partial IRA distribution to pay for them. I stayed silent as we later walked out to the car loaded down with grocery bags. I knew full well the presence of mind I had at that moment wasn’t some random moment of fiction. No, the full transformation had taken place. ¹ Detroiters of a certain age will remember that just below the national name brands of Coke, Pepsi, 7-Up, etc., were the local ones which fell into a definite pecking order: Faygo was not only an acceptable substitute but in fact some flavors were even better than the Real Thing, so to speak (i.e. Red Pop and Rock & Rye). One notch below Faygo was Towne Club, which was respectable up until at least high school age. The remaining offerings were all store or off-brands such as Tico, which meant consumption was done discreetly and universally in a darkened room, preferably the basement. This in turn probably led to more adventurous consumption, though it should be noted that the blogger makes no claims on any relationship between awful soda pop and later marijuana use. This is a conflict we often have. I prefer brand names for all but none essentials (and don’t get me started on toilet paper or paper towels!). My husband will buy cheap. This week I asked for a brand name applesauce (they do taste better). He bought a generic (and claimed it was by mistake!). BTW he can also take a 2 minute story and create a mini series complete with commercial breaks. We have a signal when he’s doing it in public. I give him the “wind it up” signal. Sometimes it works, sometimes not. Oh, a wind-up signal. If only I could have tried that with Mom… nah, she’d never have even seen it when she was on a roll. Sometimes there is a backlash on the windup signal. You are too funny. Although we only hung out for a couple years back in the day (it might even have been when you inhabited the “Country Cubicle Estates”), I miss your wit and humor. So glad I get to experience it through your blog. Hugs! Thanks, Gayle! Indeed it was that same time period back in our DC days. Of course, back then we were all so droll and too cool for our own good. At least now I can poke holes in my own sense of false indignation back then. 🙂 Thanks so much for commenting, my dear friend! Oh so hilarious and reminded me of my own Dad who lived in Michigan for 30 years after retiring. Generic everything and never missed a good sock sale. Thanks for the laugh!!! I grew up in a world of cheap Faygo soda, a small midwest town with little discernible reason to exist. I never liked that soda, or that town, but most everybody else did. From that soda experience, and following my stylish mother’s lead, I vowed as an adult to be frugal, but never cheap. Hence I’ll do without before I’ll go cheap. Words to live by, Ally! I’m definitely cheap about some products (they are just as good… really!) and go with the brand names for others. I’ll often try BrandX first, especially if there is a big price difference. I think places like Costco have convinced many of us that store brands are often pretty good. My husband is pretty good at stretching a story well beyond the point that his audience is looking for the nearest exit. I couldn’t stretch a story if my life depended on it… I wish I was better at it. Thanks, Laurel! Interestingly enough my wife thinks the Walmart brand of organic milk is really good. Of course, that’s probably a relatively new offering for them, trying to be healthy. Supposedly, Walmart gets its milk from “un-sterioded” cows. A serious omission on my part, Donna! You’re absolutely right. Vernors was/is still a Detroit favorite. Unfortunately for most kids it was also the soda you were given when you had a fever and couldn’t keep anything down. So for many of us, we stayed away from it because it reminded us being sick! Ah, I remember Shasta for some reason! I think it somehow made it east at some point. Anything “different” we had to have… until maybe we later tried it that is. The funny thing is I stopped drinking all soda pop by my mid twenties. This is so hilarious because it hits so close to home, Marty. Growing up, my brothers and I were all tall for our ages. Any time Dad took us somewhere requiring an admission fee, he would tell us to lie about our ages. Even into my early teens, I would have to pretend to be 8 years old when going out for a game of mini golf. BTW, I love the picture of your Dad. 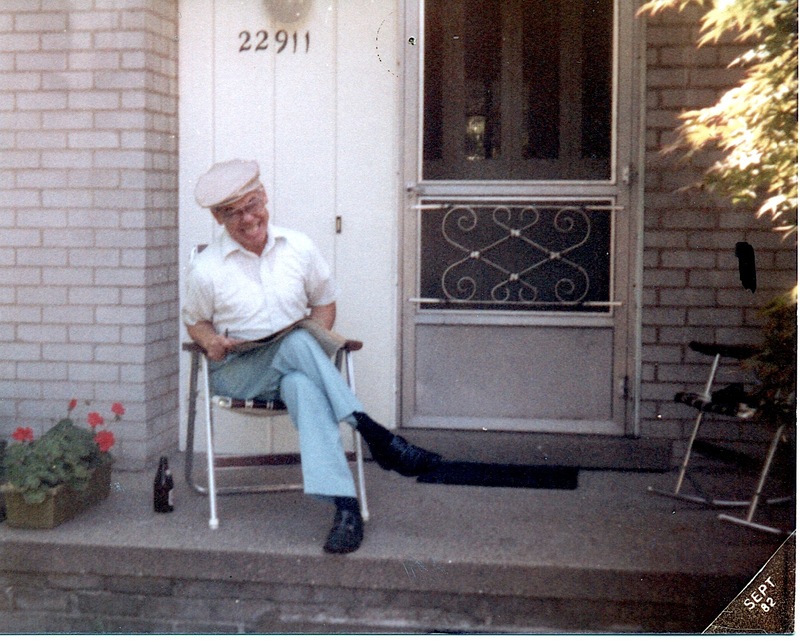 He and my Dad could have been twins, right down to the lawn chair and discount bottle of beer. Hehehe Marty. What a fun read. I don’t buy store brand at all. Well only their bakeries stuff like croissants etc. they tasted okie. Other stuff I buy brand names. To this day I don’t really like fruit salads. Thanks for my first laugh-out-loud moment of the day. “By the time she finished, we were ready to hang ourselves.” bwahahahaha! It’s frightening how we seem to end up with all the most cringe-worthy quirks of our parents. My father had a tendency to stockpile stuff as if he was preparing for the Apocalypse. I realized not long ago that I too could survive for months on the stores I’ve squirrelled away. Apparently from the comments, we all have that “genetic predisposition” and those that deny it are only lying to themselves. To those I say “cast ye the first stone.” I dare you. After paying “Island prices” for 18 years, prices stateside, even name brands, were unimaginable bargains and I’d spend with reckless abandon. That wore off after the first year back. I’m frugal as hell now. Thank dog for Trader Joe’s. However, I was in Abaco for a mini vacation last month and I wanted a watermelon, and they did have some in the grocery store there. For $10 each. I was outraged, but I bought it. It was crap, and I should have known better. But there’s a happy ending. I kept it and we went out in a boat one of the days and we fed it to the swimming pigs on one of the cays and they absolutely loved it! Was probably the best watermelon they’ve ever eaten. And certainly the most fun I’ve ever had with a watermelon at any price! Leave it to you, Sue, to spin a much better story than the ones in my post! Watermelon for the pigs, I love it! But I certainly would have shared your outrage at paying that much. Ouch. Funny thing about Trader Joe’s. On the one hand they are inexpensive. But to me they’re also gourmet. Or is that just an illusion they’ve created? If so, I’ll happily stay uninformed. Guilty, as charged. I bought store-brand rice crispies a few months ago, and my college-age son was appalled: “You’ve never bought generic cereal in your life. 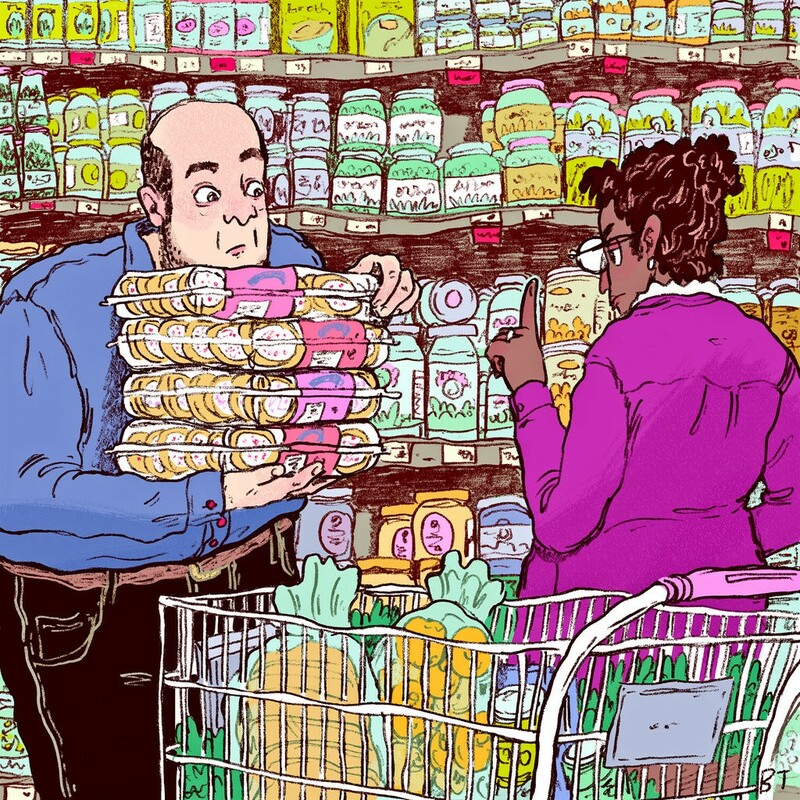 Why are you starting now?” Um, it’s cheaper and you eat like a horse? Really made me giggle. Since moving to rural France and adopting the ‘simple’ life we too balk at ridiculous prices just for the name. But we do pay Coke and Doritoes! There are just some things! Do you remember O-So Soda? Did they have that up in Detroit? That’s what we had in Cleveland. I was always embarrassed when they served it at big summer parties. What a snob I was. Aspirin generics aren a gift to consumers. You can’t alter or improve a molecule of aspirin. The only difference is name brand recognition. That one I don’t recall. Detroit had so many inferior pops that it may have indeed been there but lost amongst the discount rubbish. I never even realized that I probably was a snob, but you’re right! It’s to my dad’s credit that he never called me one. It’s great that you call it pop. It was the same in Cleveland. That’s the only region of the country where it’s not called soda. I know. I remember moving to DC and asking someone within a week of my arriving where the “pop machine” was. They just stared at me. In NYC, If you ask for a pop you get socked in the eye. Your comment about Tico soda included the remark “Leaving aside its questionable usage of Mexican-themed imagery”. Could you elaborate on this? Oh, just that it probably wasn’t the best representation of Mexicans for commercial purposes. But that was a different time period. 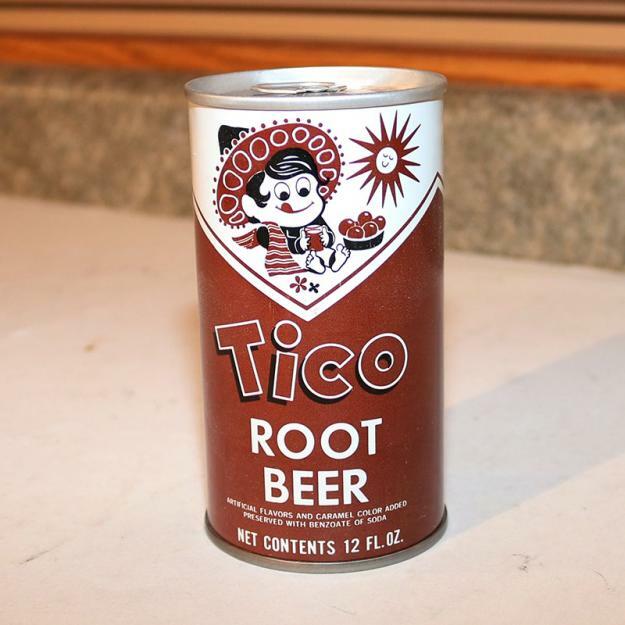 I’m unfamiliar with Tico beverages, and I could find nothing mentioned about them on the internet other than the cans are now being sold as collectibles on eBay. I did some research on the origin of the word and it appears to come from Costa Rico where it is used to refer to a male Costarican. Based on this limited bit of information I suspect this is why the company selected a cartoon character of a boy in a serape and sombrero, e.g., a Tico. I doubt it offended anyone in the 1960s, and I fail to see how it would offend anyone today. Do you think there was some darker motive in this design? Thanks for reading and providing some context! I appreciate you clarifying your remark because, while I know nothing about the beverage company, I am familiar with the artist who created the logo. His name was Boyd A. Zimmer, Jr., a popular Detroit area artist with a well-respected reputation for his charitable work. Sadly, he was killed in a traffic accident on July 20, 1969, the same day Apollo 11 landed on the moon. I know this because he left behind a wife, a twelve year old son, and a six year old daughter. For the past 23 years his daughter has been my loving wife. That’s so interesting, and obviously very sad. Thanks again for helpful context.